As previously announced, EURAO took advantage of its attendance to Friedrichshafen exhibition to hold the annual Assembly, making the long trip of its members worth his while. In an intense but friendly international work environ­ment, several new projects were discussed. We hope they will be released soon. Attend the visitors of our booth, this year coming from: Austria, Belgium, Bosnia and Herzegovina, Bulgaria, Croatia, Czech Republic, France, Hungary, Italy, Japan, Lithuania, Netherlands, Romania, Slovenia, Spain, Sweden, Switzerland, UAE, United Kingdom, USA and, of course, Germany, the host country. The winner of the drawing for a free annual membership was S58ZOR. 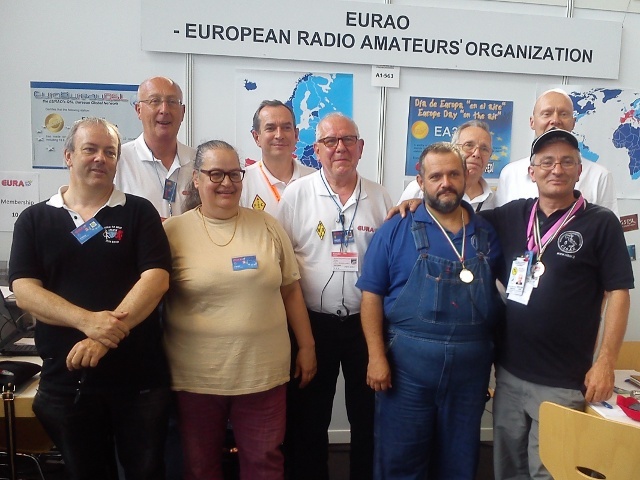 The EURAO Award check point validated a lot of QSL cards of S58MU and ON4PM, who achieved the silver category. 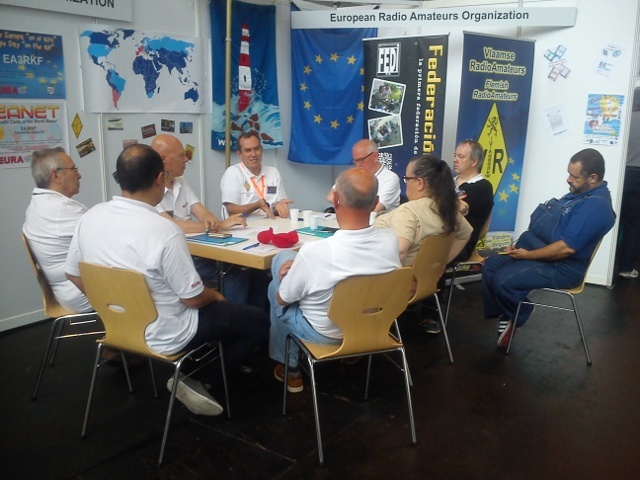 In the picture below, after the Assembly, you can see: F5OGG, ON4PM, F1PSH, DG9KBE, ON7GZ, IW3IBG, EA3CWZ, IW5CGM and EA3CIW. Other pictures can be found in this Facebook album. We hope to see you next year at Friedrichshafen on 26-28 June 2015.